Use your unique skills to beat real players around the world! 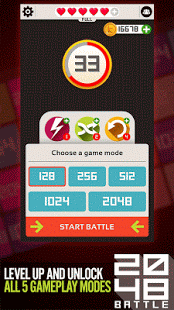 Take on epic puzzle battles, win games and level up to unlock awesome game modes. 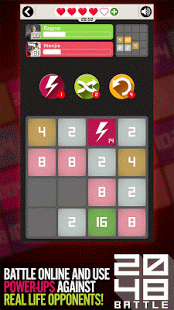 Join now and you will find unique power-ups that will bring exciting new twists to the classic 2048 puzzle game. Every game you will win has a very special prize that will be rewarding for your battles! 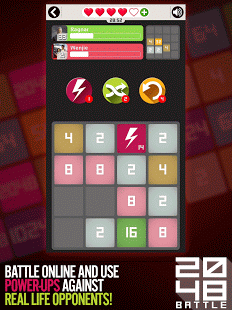 - New graphic theme that will refresh your game feel. 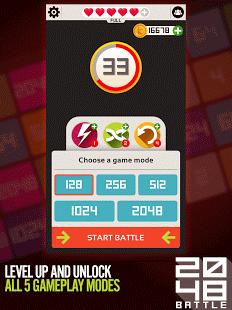 - Unlock game modes for more extended fun once you level up. - Unique power-ups that will bring a new twist to the game. 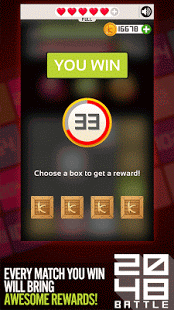 - Win a match and you will be rewarded! 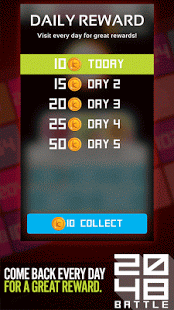 - Play every day to earn rewards! Are your ready? Let the battles begin! 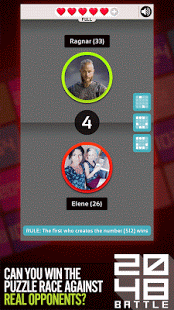 Join now and play against many real players in a great puzzle game. 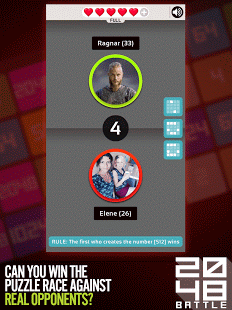 "2048 Battle Online" is completely free to play, but some in-game items can also be payed for.